Recently Google modified its search index. They are calling the new experiment a “mobile-first” index, they’re emphasizing that mobile first will be given the priority. Desktop results will remain the same for now but the user experience and priority for mobile results is evolving. The main reason for this? Some websites have split their domain for mobile ( m.domain.com ) or offered drastically different content for the mobile experience. Google wants to remedy that disparity in content. The easiest way to do this is to have a responsive website. This means your website will adjust to fit whatever screen the user is reading on. If you use a CMS, Content Management System, such as WordPress there are a ton of responsive themes that you can find for it. 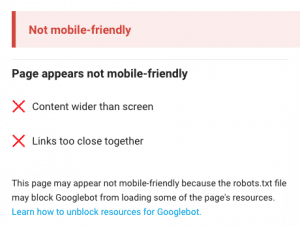 Google offers a tool that allows you to test your website to see how mobile friendly it is. Below is an example of what it would look like if your website came back with results that show it to be “not mobile-friendly”. It goes without saying that the best way to improve your SEO is to have great content. Make sure that you are putting out content regularly. This will encourage re-indexing, keeping current, and staying on target for the topics or keywords that you want to target. Powered by WordPress. Love sharing great tips, products, and advice. 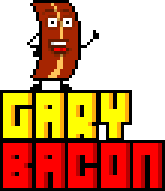 © 2019 Gary Bacon II. All Rights Reserved. Be Sweet.